Barbecues are a great way to feed large numbers of guests while enjoying the sunny weather. 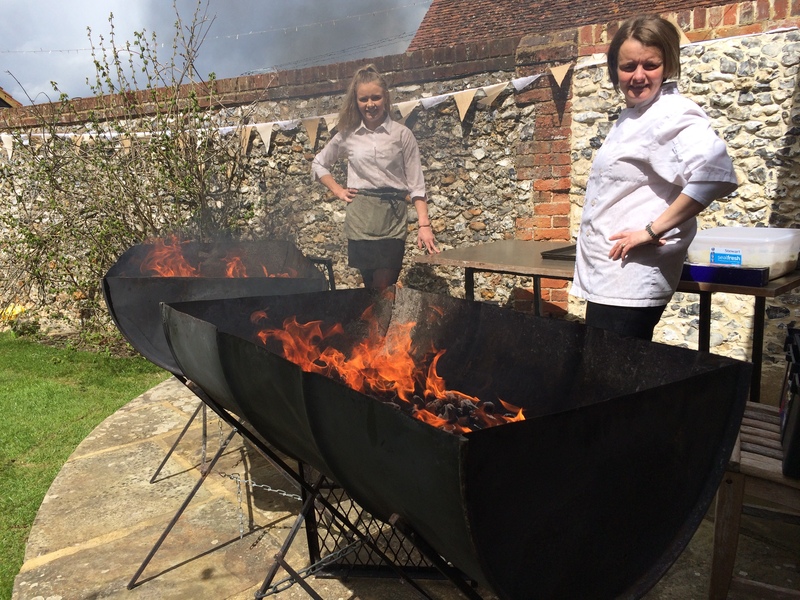 Our BBQ options are a very popular choice for evening entertainment, weddings and other celebrations. We can supply a chef to cook in front of your guests on large coal BBQs or we can simpy deliver your choices for you to cook yourselves. Our vast range of beautiful salads compliment any theme and we also use locally sourced meats to impress your guests. We also have Hog Roast & Paella options. "The food was wonderful and your staff were so kind and friendly. "